Also, you’re going to haul a rack – especially such a simple rack – across the ocean? Everyone in this group has experienced terrible terrible things. Being clawed by Itzpa and going through the utter horror of it is why Burt retired and started smoking all the cannabis in the first place. 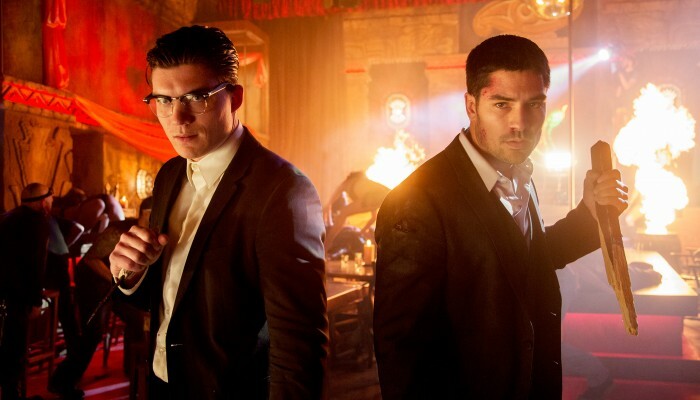 The lethal ghost arrives and infects Scott and Burt – breaking and confusing Scott enough that he rescues Amaru/Kate. Hearing his sister being tortured wasn’t exactly easy on him either. But Margaret and Billie have still being taken. Like last episode, she’s looking for a mother and child who are pure hearted for her nefarious purposes. I’m not sure how she’s sure Margaret and Billie are pure hearted… or whether they’re just snatching her to give Freddie more motivation. I do like the continued useage of Mesoamerican mythology but I do think that sometimes they’re just using a name or word but not really following up with all the legend behind it; in the same way we see “Wendigo” used to basically mean “werewolf”.